For Liguria, the symbolic flower is the Campanula isophylla Moretti, known as the Campanula di Capo Noli, elected with 48% of the votes. 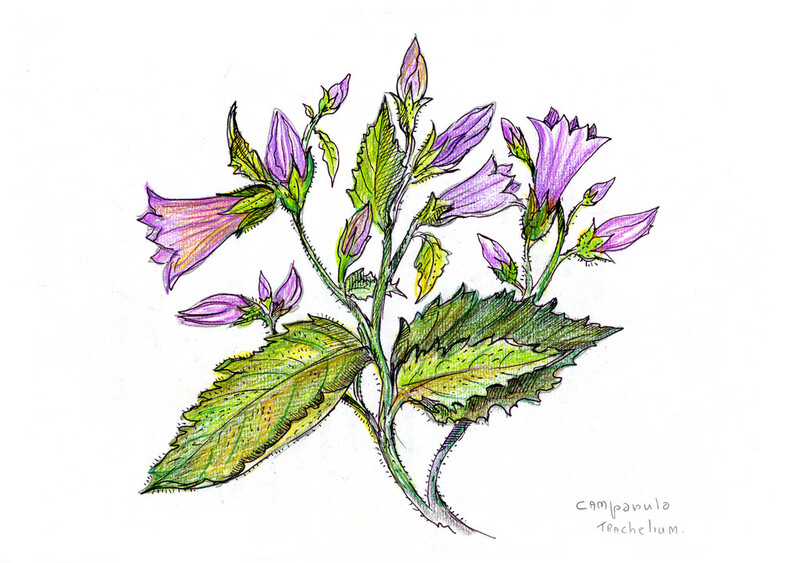 This is a showy rupicolous bellflower, with an area limited to the area of ​​Finale in Liguria, to be considered at risk of extinction due to its extremely restricted range even if it is protected by the Liguria region with Law 9/84. Natural habitat: Acid carbonate cliffs (limestone, rarely sandstones), old walls that replicate its habitat (as for example, in the houses of the historic core of Verezzi), both in places exposed to the sun and in shady places like the vaults of the caves. It is an endemism of western Liguria (province of Savona) with extremely restricted range, reduced to a thin strip of coast and coastal hills 10 km long and only 3 km wide. The extremes of the range are given to the east by Capo Noli while to the west the limit is Capo Caprazoppa and the village of Verezzi. 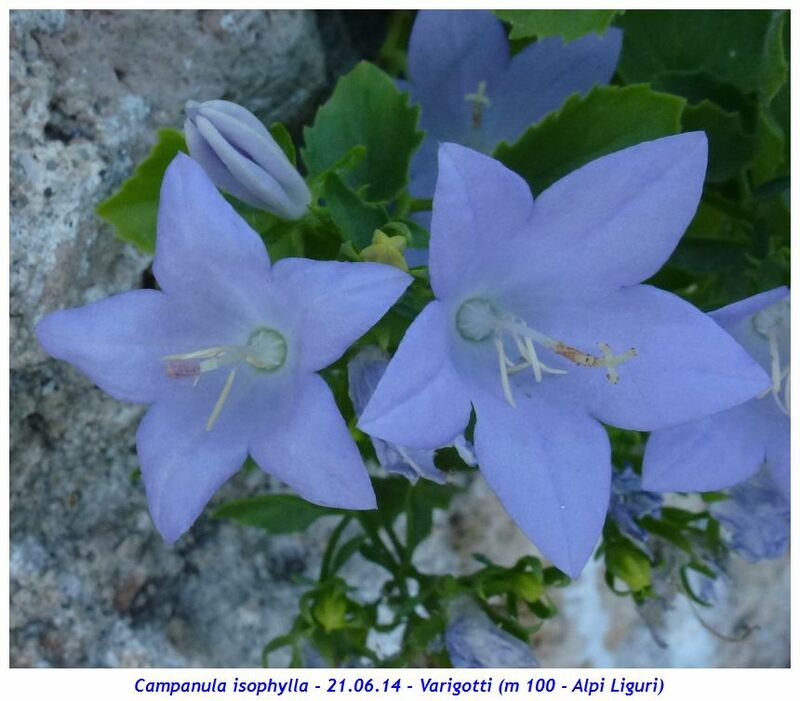 The discovery in July 2009 of a separate station in the municipality of Rialto, also in the province of Savona, has made Campanula isophylla a species not only of the coast. The new disjoint station in fact affects the area of ​​the silver mines of Bric Gettina reaching the 950 meters of altitude in the heart of the Ligurian Alps while the classic area of ​​Finale and Capo Noli is between 0 and 400 meters. Surprising is the anomalous habitat of this new station: the rock is not in fact a limestone but rather a porphyry with acidic chemism and therefore opposed to limestone constituting a surprising exception to the classical substrate of the species. Flowering period: From July to October. The very mild climate of the Ligurian Riviera sometimes causes early blooms in June or even in May; in the same way it is not rare, to see blooms that last until late autumn or even in December and January, especially in the less cold years. In any case, the months of August and September usually have the greatest blooms. The separate station of Bric Gettina, being positioned in mountainous area, sees a flowering and a fruiting always anticipated to exploit the climatically more favorable period (month of July and not late summer or autumn as it happens instead along the Ligurian coast). Description of the plant: Perennial herbaceous plant a few cm high in sunny areas, up to 40 cm in shady environments, with lignified rhizome covered by the residues of dry leaves. The stem is ascending or upright, angular, streaked and swollen. The leaves are almost the same, with a heart-shaped or rounded lamina and a serrated edge; they are supported by long petioles 3 - 7 cm. The flowers are collected in a multiple corimbosa cob, and are supported by peduncles of 3 - 6 cm. The corolla is colored between light blue and violet with a diameter of 3 - 4 cm and with a very protruding style. The flower cup is hairless or just rough with sharp triangular teeth very divided between them and with a denticle on each side. 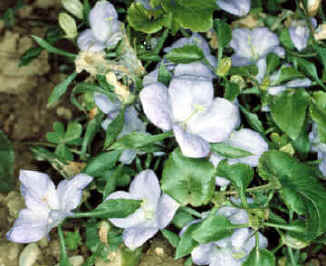 Notes: Campanula isophylla is widely cultivated as ornamental and as a plant for flower pots. The gardeners have obtained "giant" or "flowering" flowers.